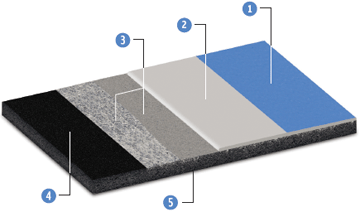 rubber based mat and polyurethanes that are 100% free of mercury and heavy-metals creating a floor that’s as safe as it is durable. The dual duromoter construction of GameCourt® provides excellent shock absorption, constistent playing characteristics, excellent ball rebound, durability and a high resistance to rolling loads. 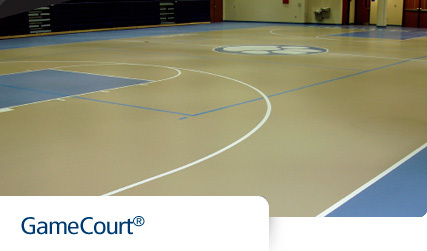 GameCourt® Multipurpose Indoor Sports Flooring System is available in 6mm-17mm thicknesses.